Good news for those resolving to keep a close eye on their credit history in 2015: There’s no need to pay a dime to do so. It’s never been easier for consumers to get a hold of their credit scores or credit reports for free. Major credit card issuers, including Discover and Capital One, offer cardholders a monthly look at their three-digit scores, which are used by lenders to gauge your financial health. CreditKarma.com, CreditSesame.com and Quizzle.com offer free credit scores along with free credit reports, which are a detailed list of any outstanding or past debts or any missed payments. Making sure a score or report is correct is important. People with higher credit scores — they typically range from 300 to 850 — are offered lower interest rates for mortgages, credit cards and other loans. Those with low scores might not be able to take out a loan, rent a home or even get hired, since some employers check credit reports, too, said Eleanor Blayney, a certified financial planner and a consumer advocate at the Certified Financial Planner Board of Standards. If you check your score or credit report from more than one place, they will likely be slightly different. That’s normal, said Ulzheimer. All credit scores are derived from one of the three credit reporting agencies: Equifax, Experian or TransUnion. Discover, for instance, lets its customers see their FICO score on its website and credit statement. (A FICO score is a brand of credit score developed by Fair Isaac Corp.) In Discover’s case, the score is derived from a customer’s TransUnion credit report. Quizzle.com comes up with its score based on a customer’s Equifax report, CreditSesame.com uses Experian and CreditKarma.com uses both Equifax and TransUnion. Formulations for coming up with a credit score are similar, so if you see a score that’s extremely different than the others, it’s a cause for concern, Ulzheimer said. If that happens, check which credit report the company is using and pull up the report to see where the error is. Mistakes or fraud should be reported to the credit reporting agency that issued the report. Credit scores and reports change monthly, so checking on them more often than that is not necessary, Ulzheimer said. 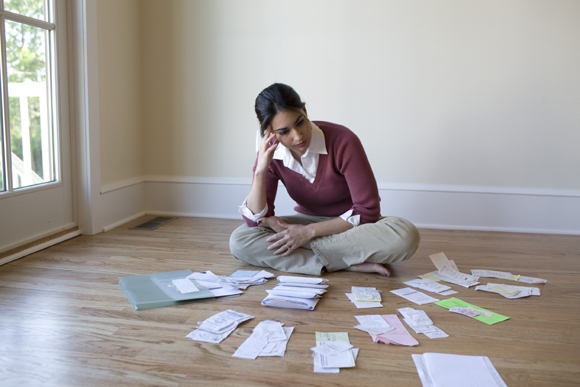 At the very least, credit reports should be checked once a year, Blayney said. At AnnualCreditReport.com, credit reports from each of the three reporting agencies are available once every 12 months. You can stagger them, she said, by looking at the Equifax report in the first month of the year, and Experian a few months later, for example.